Alaska is among my favorite places on earth to photograph due to its abundance of both wildlife and landscapes. 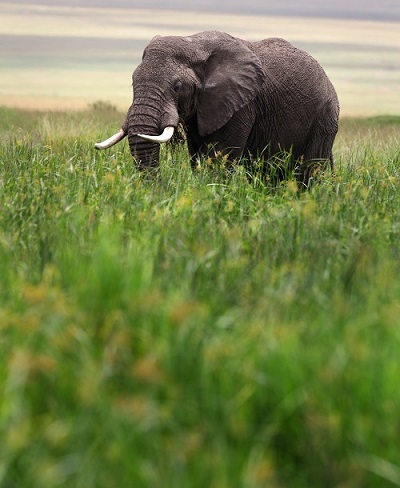 There are some places in the world where the wildlife dominates the photographic opportunities, like quintessential African photo safaris and others where the landscapes dominate the photographic opportunities, like Patagonia or the American Southwest. However, Alaska is top class in both, which is a very winning combo. While we have a number of articles that help you photograph the wildlife of Alaska, this one will concentrate on the other half of the equation—the sensational landscapes of Alaska. The simple truth is that mountains are finicky. And when you have some of the biggest mountains in the U.S., jutting up nearly 18,000 feet from the surrounding valley, you’re going to get weather. Plan on it. 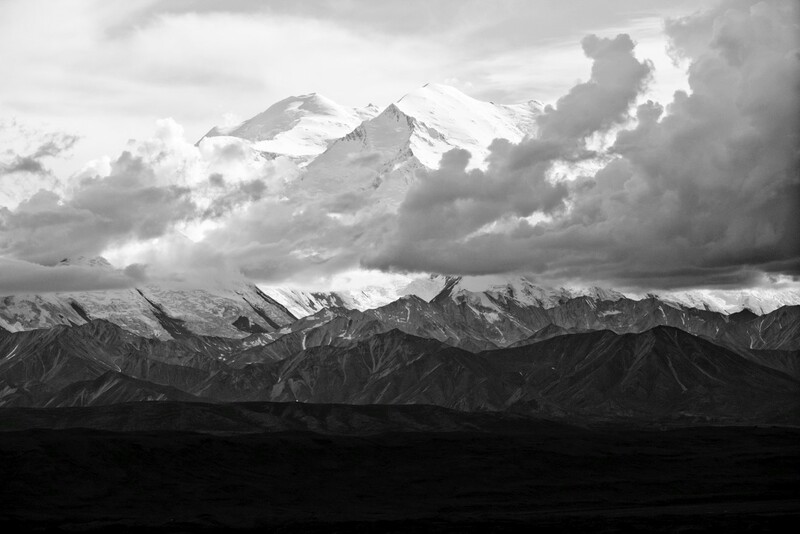 However, shrouded mountains, textured clouds, and ominous scenery also lend themselves to interesting photos. If you encounter mountains that are just not cooperating by exhibiting that classic blue-sky day, harness the power of nature and display it in a unique way. In scenes that have high contrast, boost that allure by converting to black and white in photoshop and boosting the heck out of the contrast and the dark tones. And when you do get your favorable weather, make sure to add context and depth to your photo by providing a foreground element, or elements, to your photo. 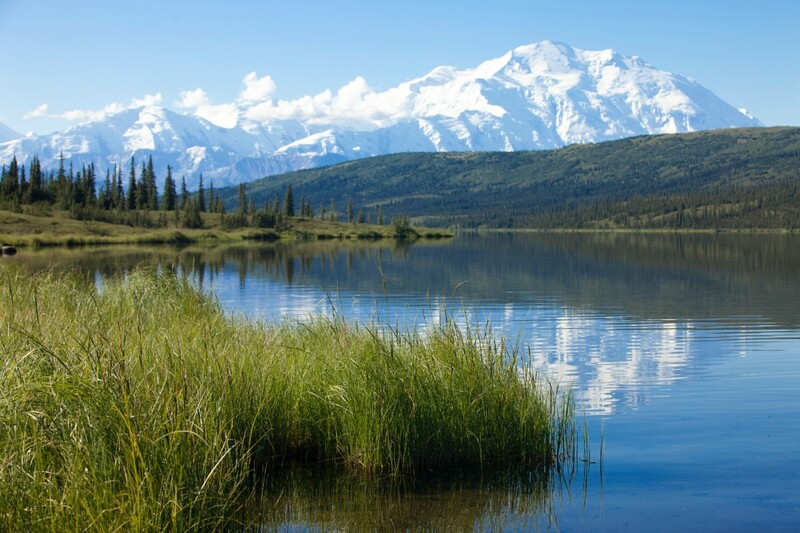 Mount Denali just looks so much better when framed by a lovely lake, like the one found up by Kantishna Roadhouse or North Face Lodge in Denali National Park. Alaska has a very unique culture and is brimming with charm. 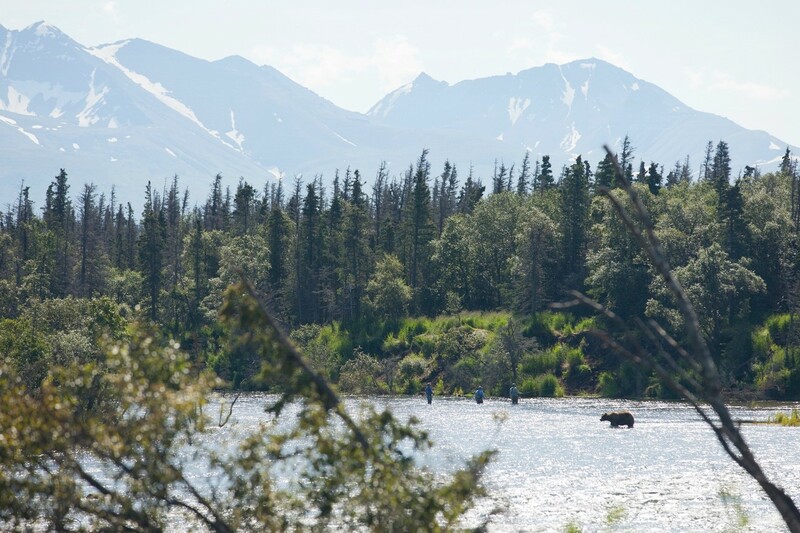 There are things you’re going to see in Alaska that you just won’t see elsewhere, like a trio of anglers happily fishing next to a brown bear in Katmai National Park. 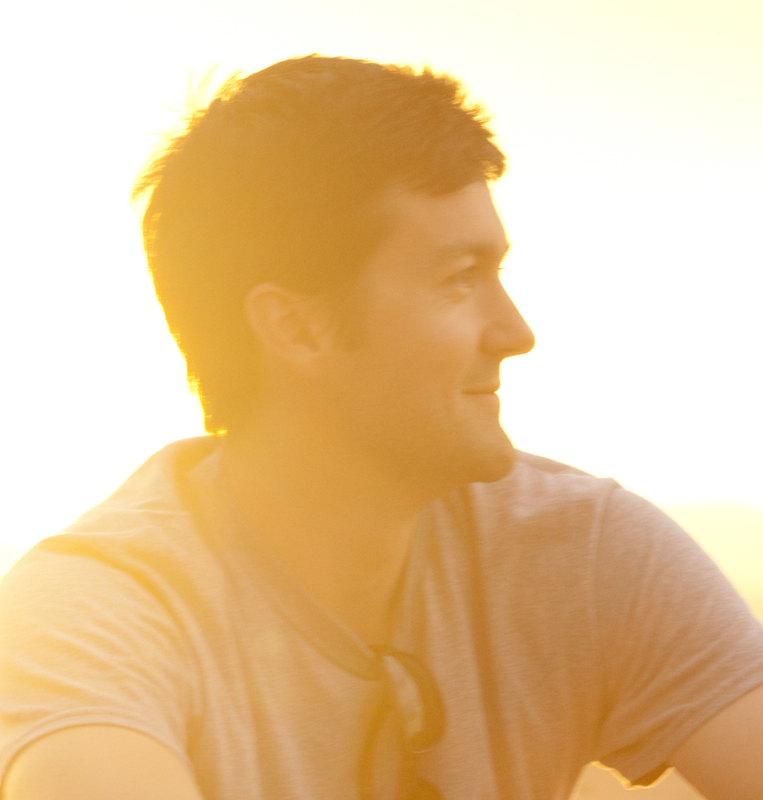 You’re also going to see some of the biggest landscapes and landscape features of your life. Make sure to add scale to the towering mountains or massive glaciers by providing a bit of scale and context. Maybe it’s a group of anglers, maybe is a boat, or maybe it’s a stand of spruce trees. No matter which way, seek out the landscape, and then immediately start thinking about how to show scale to capture the essence of this expansive and impressive wilderness. I preach about this technique a lot, but sometimes people forget that landscapes don’t always have to be panoramic or ultra-wide shots. 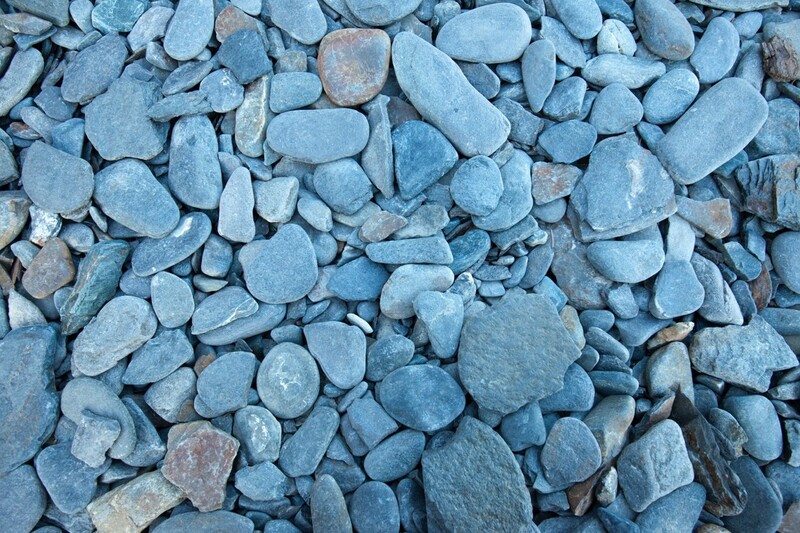 Sometimes there is beauty and magic in simplifying the landscape by focusing on a specific feature, texture or color. 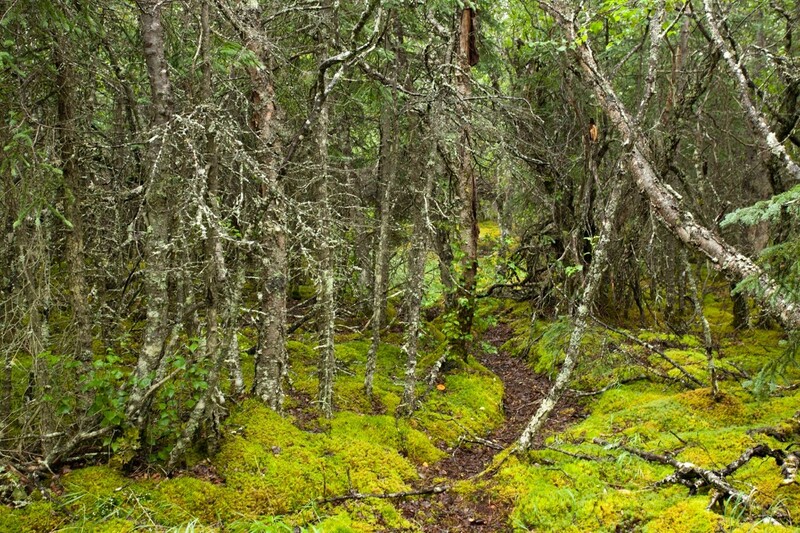 In coastal Alaska, you’ll have access to amazing greens from the lichens and mosses, juxtaposed with scraggly trees, and beaches of uniformly colored rocks or mudflats that can yield a captivatingly consistent scene. I know what you’re thinking… “Sure, Court, let me just capture a whale diving at the right moment in front of mountains…no prob, easy.” That’s all in a very sarcastic tone, of course. 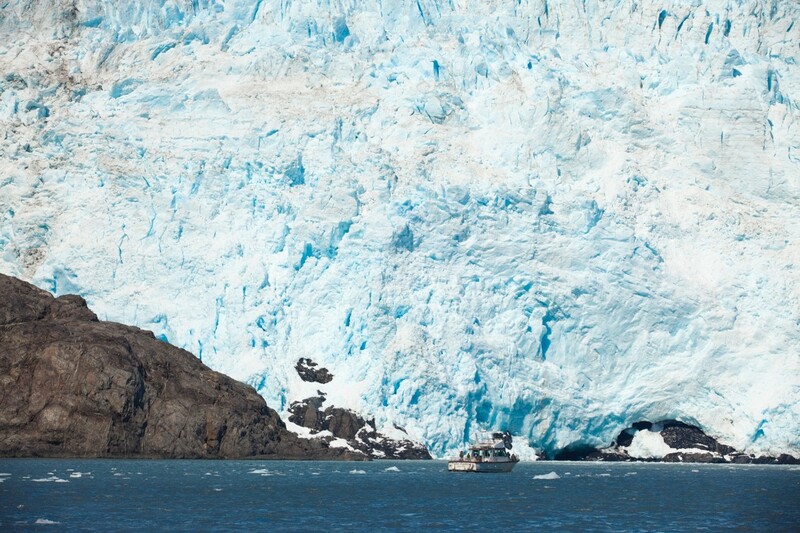 But here’s the thing…with Alaska, it’s actually much more possible than you think! 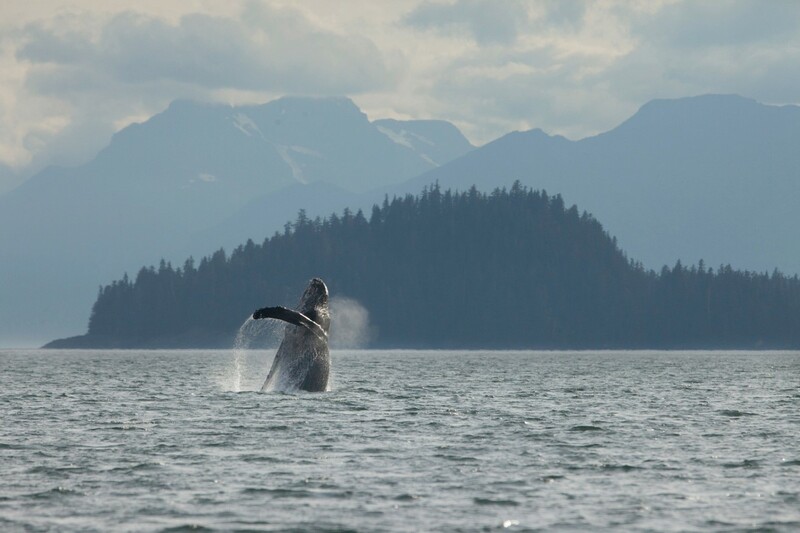 I plan on writing an article soon, on the specific steps and technique for this, but the idea is that Alaska is perhaps the best place in the world to photograph humpback whales in front of impressive scenery. When you go with a proper Alaska Photo Adventure, you’re hedging your bets and putting yourself in the best place, for enough time, to hopefully come away with one of these beauties. 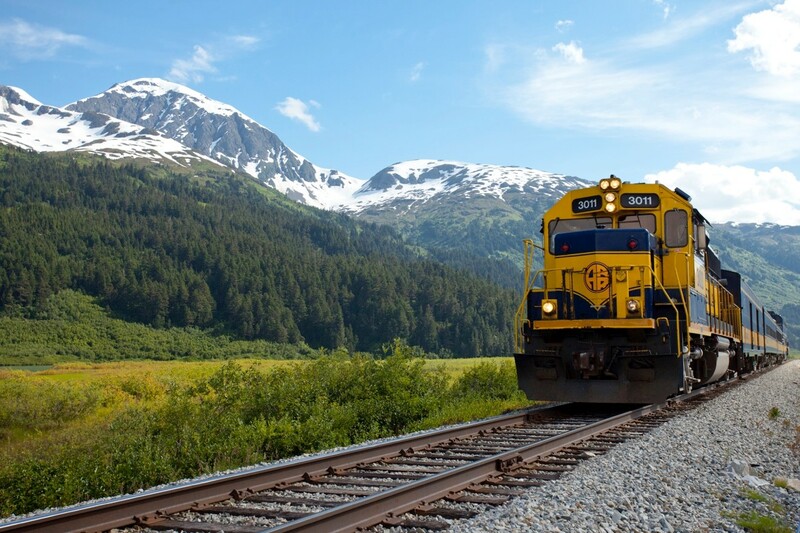 Exploring the many landscapes of Alaska will have you in a variety of modes of transportation. It’s truly a boats, trains, planes, and automobiles type of place. 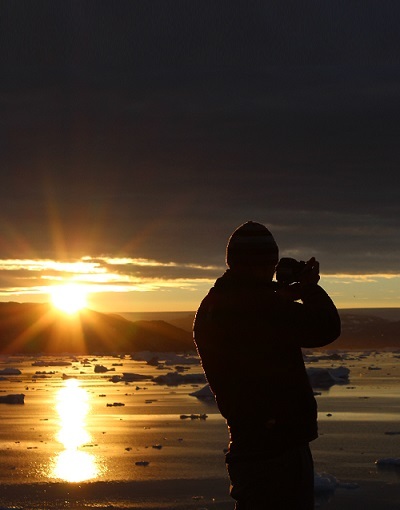 Considering that each of these will have you traversing iconic landscapes, be sure to document this as part of your travel experience and part of your Alaska story. With transportation, use a technique that I often employ of leading lines, since roads, railways, and docks give you a great tool for straight, leading lines. 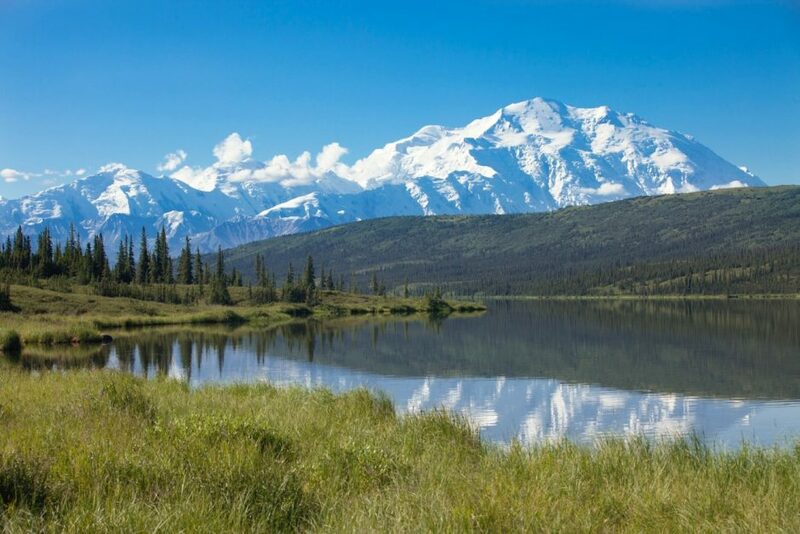 As you can see, the landscapes of Alaska are a definite highlight and extremely photogenic. If you’ve been to Alaska and have your own thoughts and advice for our readers, please do share in the comments below! August 14, 2018 By Court Whelan, Ph.D.